Gradient Solutions offers targeted products to improve the efficiency of your organization. Explore our offerings, including Lean Insurance™, CPI Diagnostic and the eFLO System below. If you’d like to learn more about these offerings, and other ways we can help improve your efficiency, don’t hesitate to contact us. 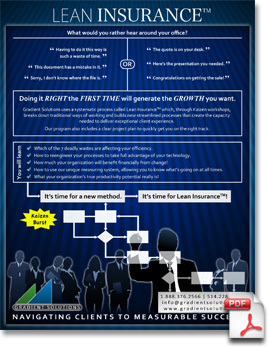 Gradient Solutions uses a systematic process called Lean Insurance™ which, through Kaizen workshops, breaks down traditional ways of working and builds new streamlined processes that create the capacity needed to deliver exceptional client experience. 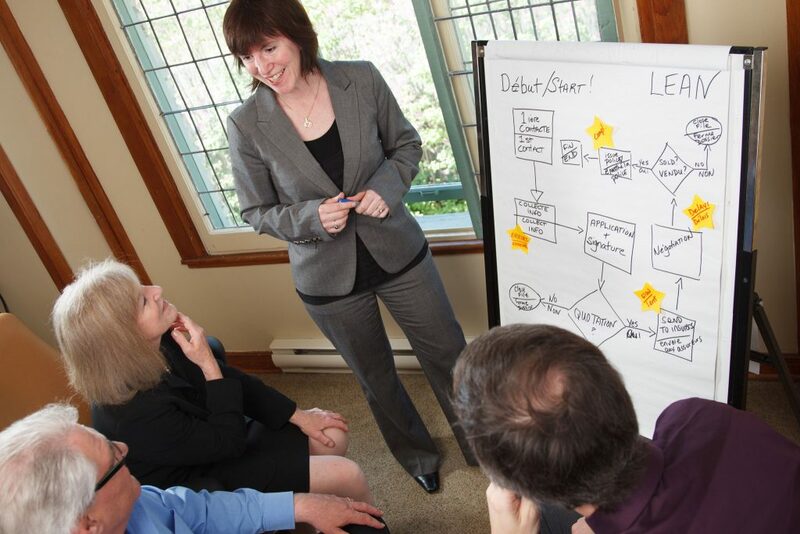 Our program also includes a clear project plan to quickly get you on the right track. 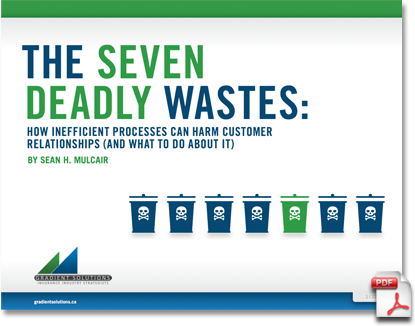 Which of the 7 deadly wastes are affecting your efficiency. How to reengineer your processes to take full advantage of your technology. How much your organization will benefit financially from change! How to use our unique measuring system, allowing you to know what’s going on at all times. What your organization’s true productivity potential really is! What would you rather hear around your office? 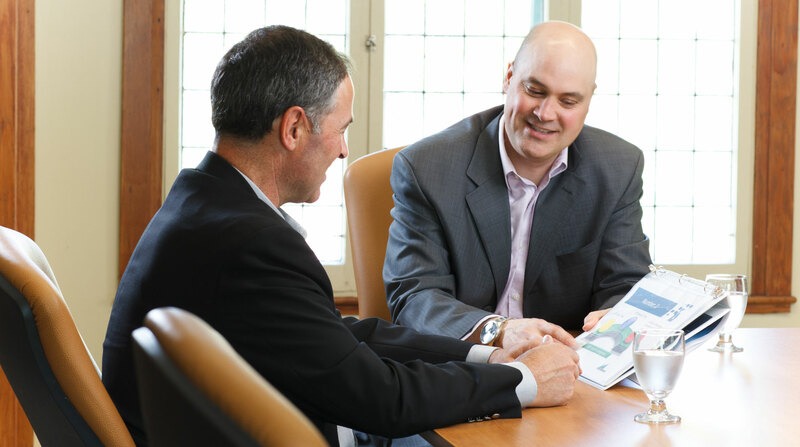 Do you know all the strengths of your brokerage? The CPI (Core Performance Indicators) Diagnostic is a comprehensive analysis of current operational structure. It identifies those CPI’s which are at the heart of your business – Human Resources, Strategic Planning, Business Continuity Preparedness, Sales and Production Performance, Workflow and Technology. The CPI Diagnostic will identify and plot your offices’ unique indicators, allowing for an objective assessment of your current situation. From that starting point, you can set attainable objectives and build a strategic plan using those concrete indicators as your guide. The CPI Diagnostic will outline any potential obstacles that could block your path to success and offer next step solutions. Status shown as red, yellow or green based on impact. Inaction results in unachieved goals. Solutions designed to achieve desired results. 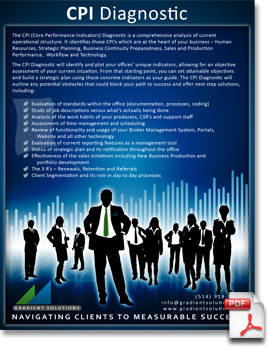 The CPI Diagnostic begins with a two day in-house session that involves various members of your staff including Management, IT and Operations. Gradient Solutions will then compile and analyze the data, documentation and information collected, and create The CPI Diagnostic Summary. It will be presented in a half-day onsite session with Management in the weeks that follow the study. The Summary will indicate those areas of concern, outline the risk factors should no action be taken, and incorporate a Next Steps Recommendation Report. The CPI Diagnostic Summary will guide your business in the right direction and give you the right information you need to reach your goals. Being paper-free means more than making fewer copies. It means freedom! eFLO will build the platform to enable your firm to reduce its’ dependence on physical files and all the associated costs. Gradient Solutions will work with your staff to establish protocols and plot the path of conventional processes to move them into a uniform, efficient and streamlined paper-free workflow environment. When the physical files in your office are replaced with a document management strategy, a modern, flexible work environment is created. An environment that facilitates business development. 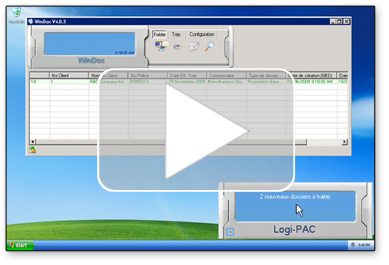 An environment where your client files can be accessed even if your office cannot. Servicing your clients and ensuring business continuity are key factors in any Disaster Recovery Program. An environment where space-filling file cabinets are replaced with productive employees advising clients and generating sales opportunities! An environment that can transition bulky Commercial files to move seamlessly and virtually from one ‘desk’ to another at the click of a button. A good environment to work in! At this time, a password is required in order to view the video. If you wish to view the video and have not been given a password, please contact us. 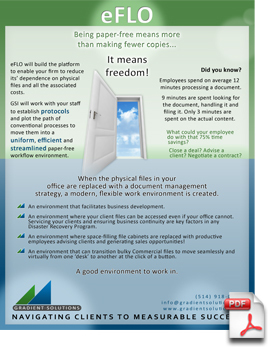 Employees spend on average 12 minutes processing a document. 9 minutes are spent looking for the document, handling it and filing it. Only 3 minutes are spent on the actual content. 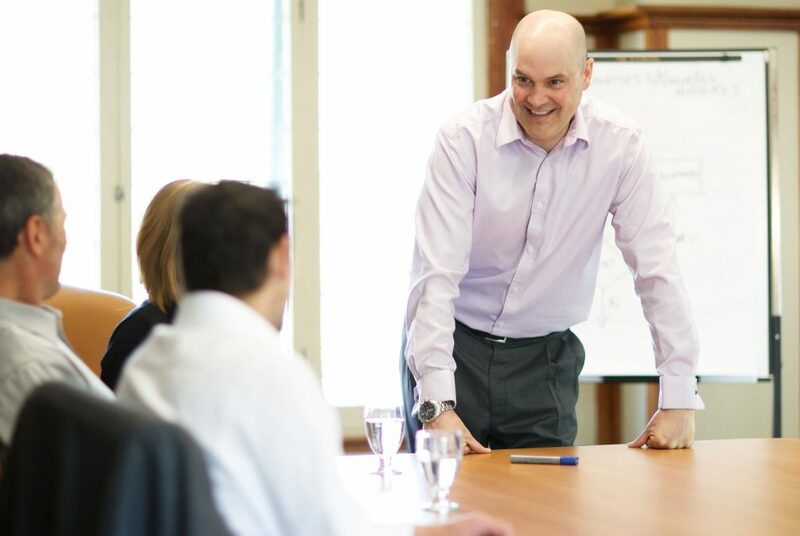 What could your employee do with that 75% time savings?